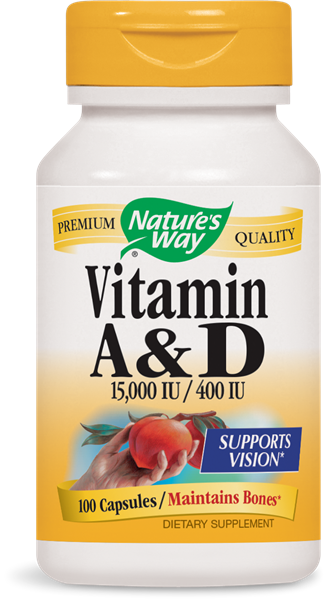 Vitamin A & D / 100 Caps - Nature's Way®. Take 1 capsule daily, preferably with food. If nursing or taking any medications, consult a healthcare professional before use. Women who are pregnant or likely to become pregnant should not exceed the recommended dose. Exceeding the recommended dose will result in ingestion of more than 10,000 IU of Vitamin A from retinol, which in high amounts is known to cause birth defects.